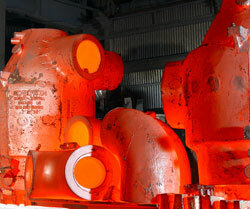 When you think of heat treatment, I wonder what type of metal you associate it with? Aluminium is probably not the first metal that springs to mind. Why? Because it is thought of as being a soft metal. But there are certain, specific alloys which respond incredibly well to heat treatment, in fact, they actually respond in almost the same way as steel and iron. So, what are the specific types of aluminium alloys? They are aluminium alloys containing copper, zinc, or a blend of magnesium and silicon which enable them to respond well to the heat treatment process. Be aware that pure aluminium and aluminium alloyed with manganese or magnesium does not work under heat treatment. Therefore, when referring to the heat treatment process during this article, it is aluminium alloys containing copper, zinc or a blend of magnesium and silicon that is being referred to. 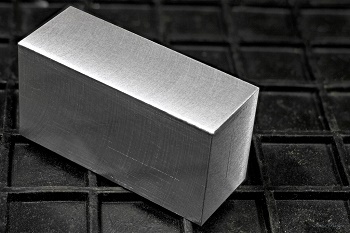 Aluminium alloys come in to contact with the mold via their outside edge first, which forms a layer or skin of aluminium crystals, which are called grains. This occurs when aluminium alloys are being cast. They cool from the outside in, with the elements of the alloy precipitating which locks crystals in regionally. This is how some areas become hard and some remain soft. To even this imbalance out, we need homogenizing, so that redistribution of the precipitation can occur. This means that the temperature needs to be taken to just below melting point which is between 900 and 1000 degrees farenheit. Having reached the homogenizing temperature, the component is left to cool slowly, so that the internal structures uniformity is reached. If you then require you aluminium alloys to be shaped, you will then require another process which is known as annealing. The alloys must be heated once again to 570°F to 770°F for anywhere between thirty minutes to three hours, depending on the alloys composition and the component part. Unlike the heat treatment or homogenising processes, the cooling process post annealing is not a critical factor in this process. What is shotblasting used for? Shotblasting is a method which is used to clean, strengthen or polish metal. This method is used in a variety of industries, including aerospace, automotive, construction, shipbuilding and foundry. Basically, it can be used in any industry that uses metal! Airblasting is a form of shotblasting that is carried out using a blastroom or blast cabinet. The blast media, for example iron, is pneumatically accelerated by compressed air and projected by nozzles onto the compartment. The shotblasting media itself can be mixed with water, which is called wet blasting. In wet blasting and air blasting, the nozzles can be installed in fixed positions or they can be operated manually. They can also be operated using an automatic nozzle manipulators or even robots. At us we pride ourselves on using the most technically advanced equipment to achieve the highest quality finish on all our projects. Our shotblasting capabilities include the following. The ability to shot blast components of up to 20 tonnes in weight. The capacity to shot-blast up to a 216m³ components. If a finer surface finish is required then it is also possible to blast the component with Aluminium Oxide 180-220 grit. The shot blast booth at us, used for shotblasting and heat treatment, has a capacity of 216m3 and is made from stainless steel which minimises the particles that settle on the work. We also pride ourselves on our excellent customer service, our fast turnaround times, quality workmanship and competitive rates. Electroless nickel plating is the process by which nickel or a nickel alloy is deposited onto a component. It is carried out without the use of an externally applied current, unlike electroplating. The nickel is deposited onto the component from the aqueous solution created by the chemical reaction. One of the most common reasons for the use of electroless nickel coatings in functional applications is its excellent corrosion resistance. In the very corrosive conditions encountered in drilling and producing oil wells, for example, electroless nickel has the ability to withstand the combination of corrosive chemicals and abrasion. With the appropriate heat treatment, electroless nickel plating can be hardened up to 950vhn. This makes it ideal for areas exposed to friction and wear. A great feature of electroless nickel plating is its hardness. Hardness values for electroless nickel deposits are in the range of 450-750 VHN, depending on the phosphorous content of the deposit. Electroless nickel plating has natural self lubricating properties, which eliminates the need for liquid lubricants on components. Electroless nickel-phosphorus alloys are easily soldered with a highly active acid flux. Electroless nickel plating has a completely uniform coating. It’s a perfect solution for critical high-end engineering items including defence, healthcare, automotive and aerospace. Electroless nickel can be deposited to produce a wide range of coating thicknesses, with uniformity and minimum variation from point to point. This uniformity can be maintained in plating both large and small parts and on components that are fairly complex, with recessed areas. Electroplating of such parts, on the other hand, would produce thickness variation and possible voids in the plating when coating holes and inside diameters. 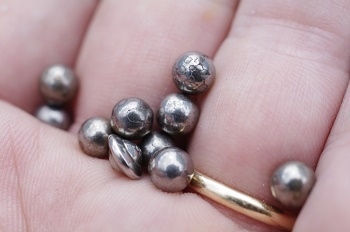 Electroless nickel deposits containing greater than 8 percent phosphorus are considered to be essentially nonmagnetic as plated. As a specialist plating company our capacity and turnaround is fast and efficient. Depending on the size and scale of the order, our standard lead time is 5 days. Where do us deliver to? We frequently deliver throughout the UK, Europe and the world. Can you provide a quote based on an email? We are able to provide customers with comprehensive quotes based on drawings and photographs that have been emailed to us. We aim to respond to enquiries within 48 hours. How hard is electroless nickel plating? Electroless nickel deposits have hardness values in the range of 450 – 750 VHN, depending on the phosphorus content in the deposit. Generally, the higher the phosphorus content, the lower the as deposited hardness. Heat treatment can be used to increase the hardness of electroless nickel coatings, achieving in excess of 1000 VHN. This makes the deposit hardness comparable to that of hard chrome, with the advantage of an even coating which will not require post plating machinery. For more information about electroless nickel plating and more great reasons to choose nickel as your plating material, visit the us website, become a fan of our Facebook page, or why not follow us on Twitter?